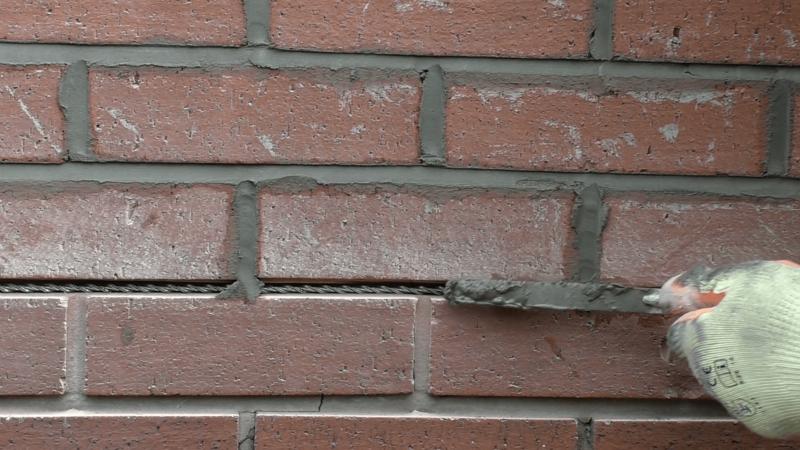 “Pointing” is defined as a finishing touch to mortar joints in stone or brick which can form part of home renovations. When such joints are exposed, they are considered as the most vulnerable areas that allow water or dampness to gain entry. The action of “Pointing” means ensuring the joints are at a depth of 10 to 20mm with a filling of quality mortar to a required shape. Ajrin Construction Inc is a professional home construction company having awareness of how old mortal between joints can be removed in order to prevent any damage being caused to the masonry units. New mortar is compacted securely for strong bonding with the original mortar. For issues regarding hard cement mortar, Ajrin Construction Inc is here to do your home renovation with use of a grinder or power circular masonry blade for old material removal. Our experts will ensure extra care while working so that vertical joints are completed by hand or by using small power chisels.